As a professional chocolate addict, I have some strong opinions on the chocolate I love. Whenever I venture out to a chocolate shop, I have an incredibly tough time simultaneously choosing one of many chocolates I want to eat, but also picking one when I sometimes don’t want any. I figure if I’m getting chocolate at a chocolate shop, I can’t waste the occasion. It’s a little bit pricier than the everyday convenience store stuff, and it’s also often better-made. That makes it a safe bet to get most chocolate offerings at a chocolate shop, but I have this minor obsession with choosing the right chocolate for the right occasion. Sometimes it means I’ll get some kind of chocolate-covered toffee, or sometimes chocolate-covered potato chips (which are incredible, by the way), and all of the time it means there is dark chocolate involved. 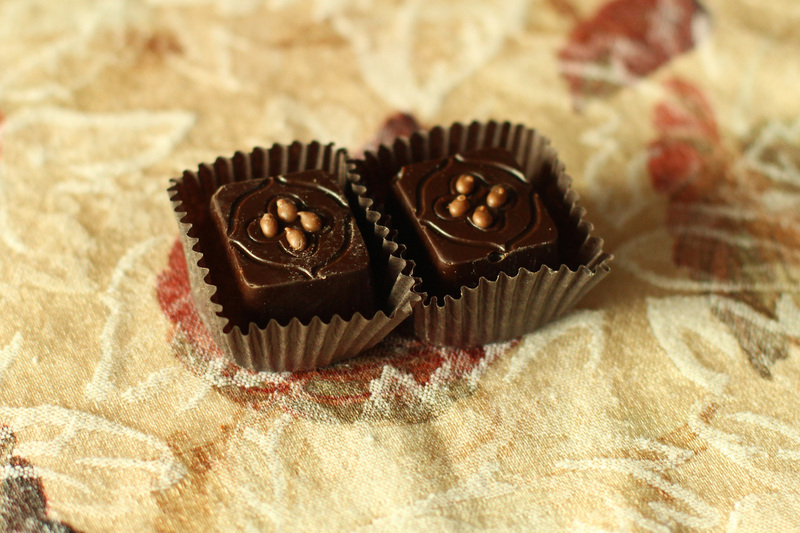 But last Saturday, when I visited Knoke’s Chocolates in Hudson, Wis., what stood out to me were the blood orange dark chocolate truffles. It reminds me of Terry’s Dark Chocolate Orange, one of the greatest confectionary inventions known to man. 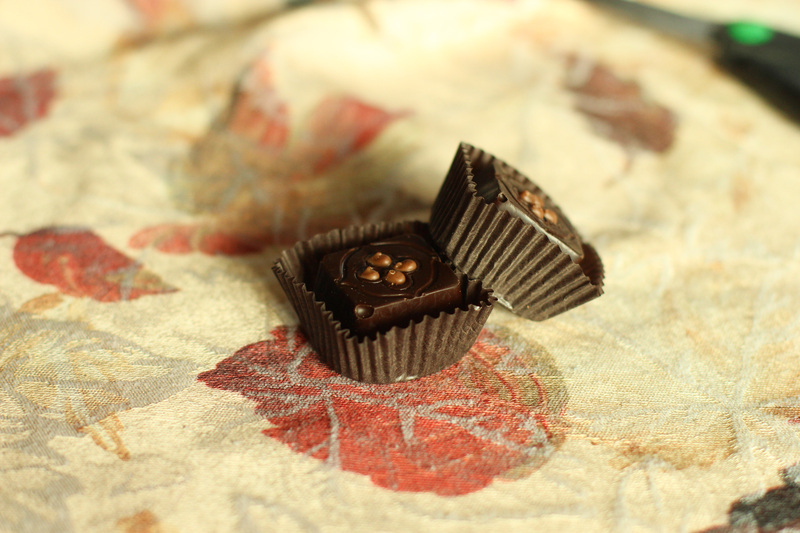 The orange brings out the brightness and mouthwatering qualities of dark chocolate. When I went to Knoke’s that afternoon and discovered these wonderful dark chocolate blood orange truffles. Since they were only like a dollar each, I bought 3 and enjoyed them throughout the rest of the day. The second I took a bite of the first truffle, all the happiness that fills each of my experiences with Terry’s Dark Chocolate Orange came back to me. That’s when I knew that, as far as my chocolate-orange flavor affinity goes, these truffles were the real deal. It was really hard to keep myself from eating several of these in one sitting. The only thing keeping me from doing so was the need for me to space out my tastes of the truffles to know better how I liked them, plus the fact that I only had 3 total and that I would probably get an upset stomach by eating them as fast as I had wanted to. The flavor combination of chocolate and orange seems to be something that people just don’t pay enough attention to. I love sea salt and caramel stuff, and amaretto flavoring is also great, but more people need to know about how perfect chocolate and orange are for each other. They’re soul mates, as far as I and my taste buds are concerned. I will take any excuse to go out and eat orange-flavored chocolate, and since it’s so rare that I encounter actual chocolate orange balls for most of the year, at least I know where to get the best kind of substitute – even if it does require me being home in Wisconsin to do so. This entry was posted in Odes and tagged chocolate, chocolate orange, Hudson, Knoke's, orange, Terry's Chocolate Orange, Wisconsin. Bookmark the permalink.